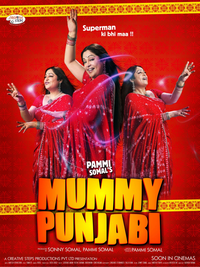 Ok, so chances are that you haven't heard about this film called 'Mummy Punjabi'. Even bigger chances are that you don't even know that it released alongside 'Bodyguard'. And one can be really sure that you don't really care about whether it is entertaining or not. However if you really do, then here are some deep insights around the film that would help you make up your mind and satiate your curiosity. Mummy Punjabi is a dull fare. The lack of face value and tough competition from Bodyguard will affect its box-office collections. Mummy Punjabi is meant only for those who really admire Kirron Kher and consider her reason enough to endure a shoddy film such as Mummy Punjabi for a good 2 hours.